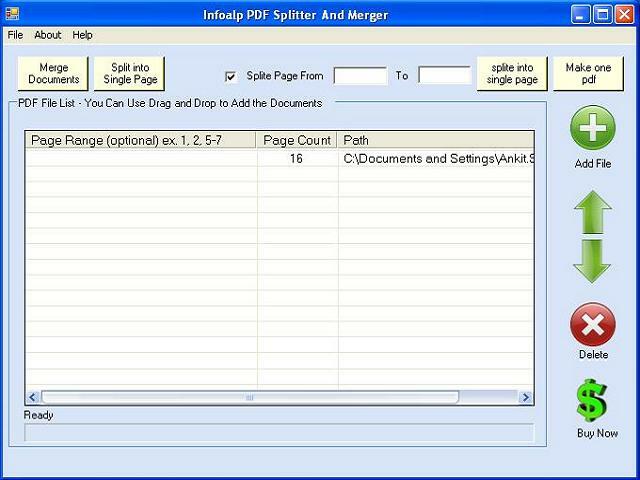 Adobe Pdf Merger software automates the process of combining multiple PDF files together. You can concatenate to a new PDF file, an existing PDF file, or append a list of files together, the result file is optimized for space.You can append to a new pdf file, an existing pdf file or append a list of files together. The result file is optimized for space.enables you to easily put together complete PDF books from your existing PDF documents. ...... Most PDF utilities slow to a crawl, when processing files with a large number of pages; PDFappend performs at a remarkable speed to the last page. Qweas is providing links to Adobe Pdf Merger 4.0.1.5 as a courtesy, and makes no representations regarding Adobe Pdf Merger or any other applications or any information related thereto. Any questions, complaints or claims regarding this application Adobe Pdf Merger 4.0.1.5 must be directed to the appropriate software vendor. You may click the publisher link of Adobe Pdf Merger on the top of this page to get more details about the vendor.